Dr. Stephen R. Spindler -- Biochemist and Professor of Biochemistry at UC, Riverside, recently appeared as Guest Expert on a LivingTheCRWay.com teleconference in their Expert Series. George Roth, Ph.D., Formerly Chief of the Molecular Physiology and Genetics Section of the National Institute on Aging, as well as Acting Chief of the NIA Laboratory of Cellular and Molecular Biology. Currently, he is CEO of Geroscience, which focuses on development of CR mimetics. Dan Rosenberg, co-founder of Real Pickles, whose products grace our table and palates often. 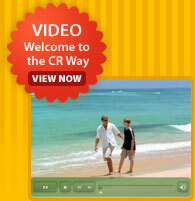 Access to the rest of CR Way Expert Teleconferences will be posted here soon: Stay tuned!